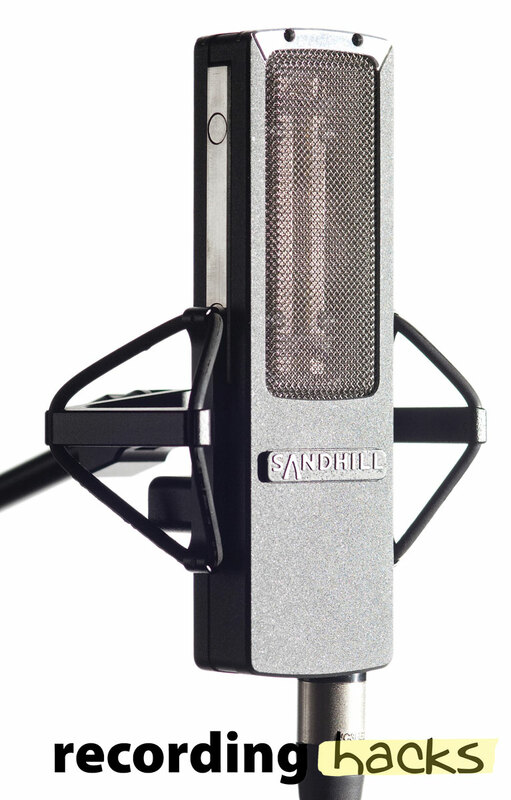 The 6011A is an active ribbon microphone with a “nano-composite” ribbon that can withstand high SPL as well as air blasts. The mic’s active circuitry runs at unity gain; it is not an amplifier per se, but rather an impedance converter. The gain comes from the ribbon and its 100:1 step-up transformer; a similar topology can be found in the active Royer and AEA ribbon microphones. Open-circuit sensitivity is specified at 4.1mV/Pa; this is lower than other active ribbons we’ve seen, such as the R-122 (14.1mV/Pa) and AEA N22 (6.2mV/Pa). A switchable 6dB pad helps prevent overload of the circuitry, giving the 6011A a high max SPL of 160dB. The ribbon measures 4.7mm x 60mm; this is the size of the ribbon in the RCA R44 and numerous “Big Ribbon” microphones from AEA. Unlike those microphones, the 6011A uses a variable corrugation pattern, in which the size of the corrugations changes across the length of the ribbon. This “VariGeo” design was found by the Sandhill team to perform better than standard corrugation patterns. 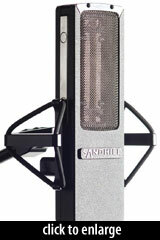 No blast filters, silk, mesh, or screens are used between the mic’s front grille and the ribbon element. Because the ribbon is essentially unbreakable, no such filters are needed, according to Sandhill. No resonator element is used in front of the ribbon to boost high-frequency response. The use of this “NCRT” (Nano Composite Ribbon Technology) ribbon gives the 6011A a kinship to the Crowley & Tripp ribbons, now sold by Shure as the KSM353 and KSM313, whose Roswellite ribbons are also made of a super-elastic, paramagnetic composite material with high tensile strength and shape memory. The 6011A ships with a custom shockmount and a water- and airtight plastic storage case.